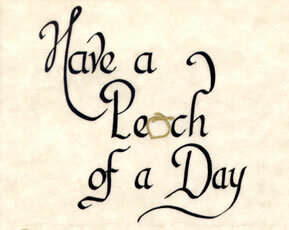 Home » Family & Friends » Have a peach of a day! Have a peach of a day. Each print is hand painted in our workshop. This one only comes as a 5 by 7, single-matted with gold trim. Without frame, $12, with frame $25.